After closing in 1976, the track remained in situ at Toddington station for a further three years, but was lifted before the Gloucestershire Warwickshire Railway could take control of the site. The society moved in in 1981, and by the following year there were distinct signs of preservation progress. 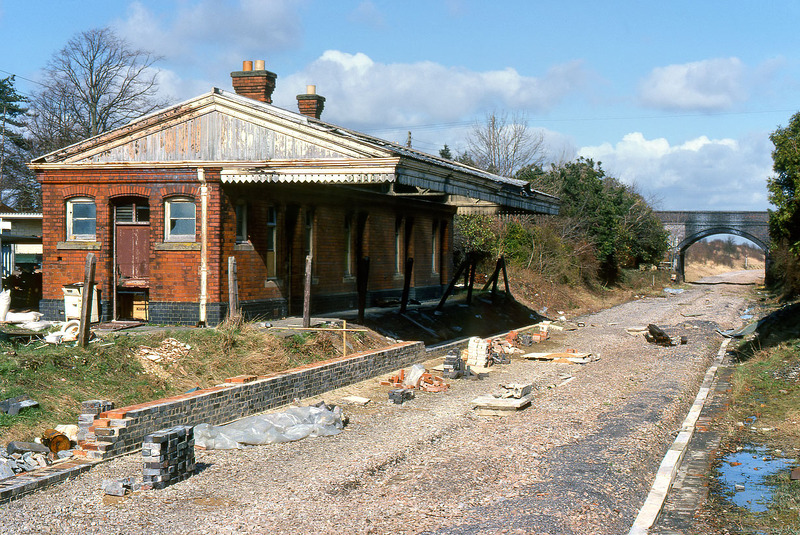 This view shows Toddington station building on 13 March 1982, with the first few courses of bricks in place for the soon to be reinstated platform.